New age plastic, brought to you by HLP Klearfold. In today’s world of environmental awareness, many of us imagine plastics to be a thing of the past. With an estimate showing that by 2050, the oceans will have more plastic in them than fish by weight, and plastic bags, bottles and just about everything else washing up on shores, coupled with the bodies of sea turtles and fish which died by entanglement in the plastic, nowadays people are opposed more than ever to what was once considered the miracle that the companies of the world were waiting for. However, despite the environmental dangers posited by the usage of plastics, the benefits still remain. No material can be as perfect for packaging purposes as plastics is. It prevents the products from being damaged by environmental conditions, such as moisture gases and microorganisms, keeps the products damage free and is totally safe for transportation and prevents spillages and it simply shrugs off oil and water. These benefits contribute to the popularity that plastic still has, and they have led to the advent of a new age in the plastic era – that of environmentally friendly plastics. Plastics such as APET, RPET and PP material are widely recyclable, and can have even more benefits than traditional plastic. Here are three ways that recyclable plastics can benefit your company. With environmentally friendly products being all the rage nowadays, it only makes sense that we should all hop on board, whether it is in the products that we have to offer or in the packaging. With the effects of the strain that the usage of plastics puts on the environment, more and more companies are coming under questioning for opting to even use plastic packaging. Using environmentally safe, degradable packaging can lead to your company not only gaining popularity, but working towards a greener and better future. Using safe and degradable products can mean that the company takes charge and assumes corporate social responsibility and in today’s age, this can be the fact that attracts consumers. All APET, RPET and PP plastics can be collected curbside for recycling and can even be recycled at home. These products offer a minimal carbon footprint that perhaps no other material can offer, as they can repeatedly be reused to make newer products. Many may initially be skeptical of the benefits that APET, RPET and PP may have to offer. The durability and pliability of traditional plastic has thus far remained unparalleled and no other material can offer so many benefits in such little expenditure of money and energy. However, APET, RPET and PP do all this and much more. PET plastics are now commonly used in our daily lives, and safe, non-toxic (unlike many traditional plastics) and extremely durable. These plastics can be just as budget friendly as traditional plastics, and can perform just the same, if not better in terms of durability and clarity. 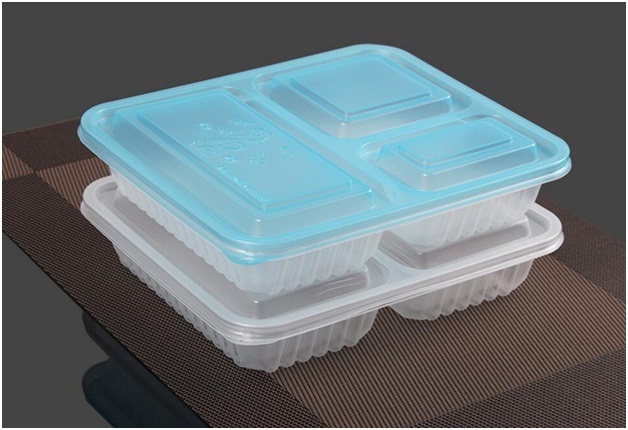 These plastics can withstand all environmental factors and can ensure that the products inside remain safe throughout all conditions, even while travelling. Apart from being completely safe in all conditions, PET plastics can give you the bespoke packaging that you have always dreamed of to make your brand stand out, without any of the harm to the environment! Packaging that comes in unusual shapes to suit your product can be the first step towards attracting the customer. Then, the customer can be won over by not just the product but the environmentally friendly nature of the company. No matter what product it is that you are selling, HLP Klearfold can be the company to supply bespoke yet box-grade plastic in terms of clarity, strength and durability. HLP Klearfold is a world renowned supplier of box grade durable and clear plastic packaging, which not only has all the benefits of traditional plastic for the retailer, but does no damage to the environment either. To maximize environment-friendliness, HLP Klearfold not only creates environment friendly plastic, but also incorporates recycled material in their products. In addition to this, the company is linked to The Green Forest Agriculture and Forestry Development Company and aims to plant trees on a total of 3895 acres. Partnering with HLP Klearfold, you can be sure that you will not only get the best packaging, but will also be assuming great corporate social responsibility. Get in touch with the team today.